Yale University Press, 9780300224207, 224pp. Climate change is the most urgent challenge we face in an interdependent world where independent nations have grown increasingly unable to cooperate effectively on sustainability. 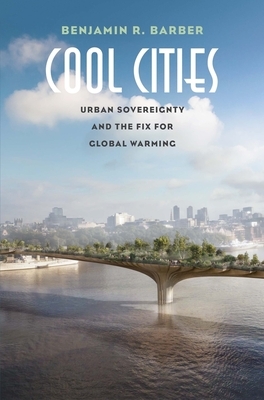 In this book, renowned political theorist Benjamin R. Barber describes how cities, by assuming important aspects of sovereignty, can take the lead from faltering nation states in fighting climate change. Barber argues that with more than half the world's population now in urban areas, where 80 percent of both GDP and greenhouse gas emissions are generated, cities are the key to the future of democracy and sustainability. In this compelling sequel to If Mayors Ruled the World, Barber assesses both broad principles of urban rights and specific strategies of sustainability such as fracking bans, walkable cities, above‑ground mining of precious resources, energy and heating drawn from garbage incineration, downtown wind turbines, and skyscrapers built from wood. He shows how cities working together on climate change, despite their differences in wealth, development, and culture, can find common measures by which to evaluate the radically different policies they pursue. This is a book for a world in which bold cities are collaborating to combat climate change and inspire hope for democracy even as reactionary populists take over national governments in the United States and Europe. It calls for a new social contract among citizens and municipalities to secure not only their sustainability but their survival. Benjamin R. Barber is a distinguished senior fellow at the Fordham Law School Urban Consortium, the founder of the Global Parliament of Mayors, and the author of Jihad Versus McWorld,If Mayors Ruled the World, and other books.